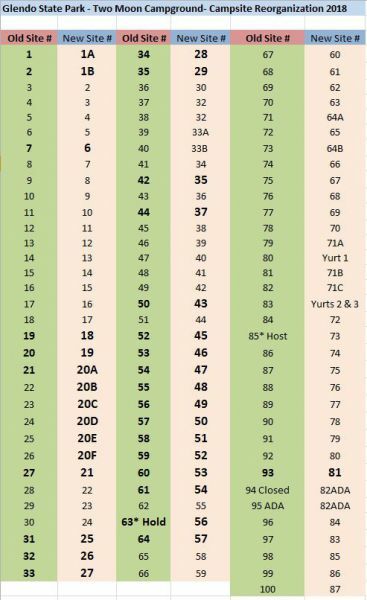 The campsite numbers in Two Moon Campground have been changed for 2018. The following table contains the old campsite number and the corresponding new number for you to reference when making a camping reservation on www.reserveamerica.com or over the phone at 877-996-7275. A new campground map has also been added to the reservation system for your convenience. If you have park specific questions for Glendo State Park call 307-735-4433.